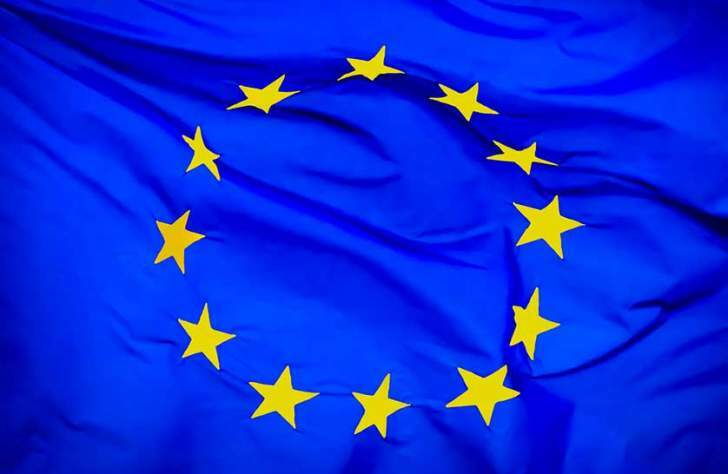 THE European Union Election Observer Mission (EU EOM) yesterday said Zimbabwe's highly contested July 30 presidential election results were not "verifiable" or "traceable", casting doubt on their reliability and accuracy. The EU said in the executive summary of its report that the Zimbabwe Electoral Commission (Zec) "lacked full independence and appeared to not always act in an impartial manner". "The final results, as announced by the Electoral Commission, contained numerous errors and lacked adequate traceability, transparency and verifiability," it said. With Zimbabwe's economy suffering chronic shortages of cash as well as high unemployment, the vote was seen as a crucial step toward pulling Zimbabwe out of diplomatic isolation and securing international funding. "As these results are not in the official V11 form, they do not provide the full traceability which the EU EOM had called for in its preliminary statement," the EU EOM said. "The figures presented by Zec contain many anomalies and inaccuracies. These did not bring in to question the results per se, but do raise enough questions to have doubt as to the accuracy and reliability of the numbers presented." The EU EOM said examples of inaccuracies included inaccurate totals for constituencies and/or provinces, inaccurate sums for the two main candidates in two provincial level cases, double entry of some polling stations, and, in some cases, more voters apparently having voted than are on the voters' roll. "Zec later corrected some errors and amended the election result, meaning that ED Mnangagwa was attributed with 50,67% rather than 50,8%. These errors were highlighted in the court case brought by Chamisa, but they were not found, by the court, to have materially affected the overall outcome," the report reads. "Intriguingly, the figure of 50,8% of votes initially announced for the winning candidate, which is the most widely-reported, appears not to have been a percentage of the total number of valid votes cast (if it is so, it should be 51,5%), but it is the respective percentage of the total number of votes cast (including invalid votes)." "In comparison with the presidential results, it is estimated that some 45 000 more valid votes were cast for the presidential election than National Assembly elections nationally. Such a discrepancy is surprising, though it cannot be ascertained if it represents an anomaly with the presidential result or with the Assembly results," the EU noted. "I think our final concluding sentence is that the elections fell short of the international standards and I think that is quite clear," he said. "However, the misuse of State resources, instances of coercion and intimidation, partisan behaviour by traditional leaders and overt bias in State media, all in favour of the ruling party, meant that a truly level playing field was not achieved, which negatively impacted on the democratic character of the pre-electoral environment," the report read. "It is notable that there is some correlation between provinces with the highest margin of votes in favour of the ruling party, such as across Mashonaland, and provinces with the highest number of reports of 'smart intimidation', misuse of State resources, involvement of traditional leaders and other electoral malpractices." The EU also noted that Zec's independence was compromised to some extent by the meddling of the Justice ministry and said that has to be corrected through a Parliamentary amendment. Zec's management often lacked inclusivity, transparency or effective external communications, it noted. The report also poked holes into the audit of the voters' roll and that the State broadcaster failed to abide by its legal obligations to ensure equitable and fair coverage of all the candidates and that government-controlled newspapers were clearly biased towards Zanu PF. "The 2018 election fell short of the minimum bar for acceptable elections. Yes, there are improvements, but on the balance of scale, they fell short of that bar. Definitely, the report impacts on the question of credibility and legitimacy, but what is going to be more effective, which everyone is looking up to, is the report of the commission of inquiry into the incidence that happened on August 1," Masunungure said. "The quality and truthfulness of the report, the independence of the commission will determine more on the credibility of the current government. Many countries in the world were prepared to give the ED [Emmerson Mnangagwa] government a chance, but the events of August 1 were a big blow." "But frankly speaking, the elections were not as free as one would expect. However, we have gone beyond that. I personally think the international community is ready for engagement as long as we have a roadmap for free and fair election going into 2023. They want to see timelines, they want to see fundamental reforms being implemented," he said. "The EU was being diplomatic in saying that the election results are untraceable and unverifiable. But the truth is that the EU is saying the election results were a creation by Zec chairperson Priscilla Chigumba," Mafume said. "Talk to the Ministry of Foreign Affairs, they can help since these were observers and would have given them the report before publishing it. On behalf of the party, we need to study it, the context as well as why they are saying so," he said.